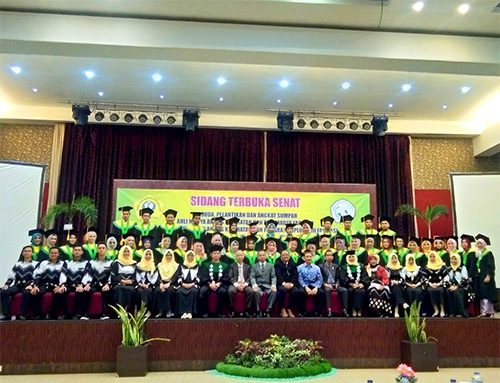 Berdasarkan hasil yudisium Prodi DIII Analis Kesehatan Borneo Lestari Tahun Angkatan 2016/2017 dengan perserta sebanyak 81 Orang dengan Predikita kelulusan dengan Pujian (Cumlaude) Sebanyak 24 Orang, Sangat Memuaskan Sebanyak 56 Orang, Sangat Memuaskan sebanyak 1 Orang. Dengan Lulusan Terbaik yaitu Melda Ayu Safitri, A.Md.AK IPK 3,80. Galih Puji Guntara, A.Md.AK IPK 3,79. Lisdiani Nanda Fadilla, A.Md.AK IPK3,79. 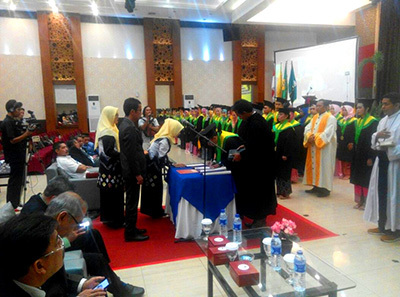 Sedangkan untuk Prodi DII Sekolah Tinggi Kesehatan Borneo Lestari dimana perserta yudisium sebanyak 14 Orang dengan hasil lulusan terbaik dengan predikat lulus dengan pujian (Cumlaude) yaitu Nurrahmi Arny dengan IPK 3,94. Lely Arifianti dengan IPK 3,70 dan Norhayati dengan IPK 3,65.
was browsing for thoughts on this topic last Sunday. actually do have 2 questions for you if it's okay. I absolutely liked reading all that is written on your website.Keep the posts coming. I seldom comment, but after browsing a few of the remarks on WISUDA AAK DAN STIKES BORNEO LESTARI. I do have some questions for you if it's allright. Could it be just me or do some of these comments look like they are left by brain dead folks? web site. I had no trouble navigating through all the tabs as well as related information ended up being truly simple to do to access. here at web, however I know I am getting knowledge every day by reading thes nice posts. lunch break. I love the knowledge you present here and can't wait to take a look when I get home. Brief but very accurate information... Appreciate your sharing this one. my web site =). We will have a link trade arrangement among us! over the internet without my authorization. Do you know any solutions to help prevent content from being ripped off? Feel free to visit my homepage ... ????? We will provide bonuses once 50% for you. Feel free to surf to my web blog ???????? The actual procedure for betting on greyhounds upon the internet is a totally simple event of logging in to your account and picking a track. internet tools for analysis and a forex account. People haven't misused in two or three thousand decades. Hi there, I found your website via Google even as searching for a similar matter, your site got here up, it appears good. Hi there, simply turned into alert to your blog through Google, and located that it's really informative. play poker online such as Pokerace99 and others. Here is my homepage ... ?????? Hello. I have checked your scuindonesia.com and i see you've got some duplicate content so probably it is the reason that you don't rank high in google. these techniques either. These sites will aid you rank upper. I have been working on SEO regarding your good 1 1/2 to two years. One doesn't want any that you're in direct competition with despite the fact. Traffic is the benefit of any successful website. This implies that the relevant website content will oftimes be adequately indexed the robots. As you can imagine, may fairly labor intensive process. From the people claiming that advertising does operate. is to retain visitors on internet site. your content isn't good., however suppose you added something that makes people desire more? I mean WISUDA AAK DAN STIKES BORNEO LESTARI is a little vanilla. they create post headlines to get people interested. You might add a video or a related pic or two to grab people excited about everything've written. simply by striking the bingo button incorporated on screen. by teams of gambling experts and provide an extremely realistic gaming atmosphere. Look into my weblog - ?? ?